A few weeks ago my friend sent me a link from The Times newspaper saying that Hong Kong-born entrepreneur David Tang wanted to have one last dinner party with friends at The Dorchester because doctors didn't give him more than a month or two to live. I found it hard to believe -- was he ill? I didn't know he had liver cancer. But he won't be able to see his friends one last time -- he died today at the age of 63. My first and only encounter with him was in my early 20s and went to see him in his Shanghai Tang boutique that was on Pedder Street. At the time I had only started working about a year or so and so I didn't have much money to spend, let alone on clothes. At Ladies Market I bought what I thought was a cute white satin short skirt with frog buttons on it. When he saw me he immediately chastised me for wearing satin -- and he emphasized it in his posh British accent -- and pointed out that it wasn't silk. Well excuuuuuse me! At the time I couldn't afford anything in his shop and honestly thought the neon pink Mandarin collar silk jackets were outrageous (even though they were all the rage with expats). He's had an interesting life to say the least. He was the grandson of Tang Shiu-kin, a well known philanthropist, but David Tang didn't grow up with a silver spoon in his mouth. 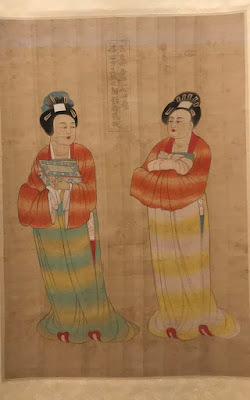 As he tells it, his grandfather didn't like his first concubine, which meant he didn't like Tang's father and him. "All of us were cast out of the family home and left to fend for ourselves on a very modest income that my grandfather reluctantly provided," he explained in one of his Financial Times columns. 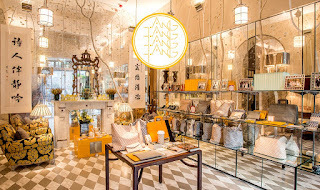 When he went to England to join his parents and attend boarding school in 1965, Tang didn't know a word of English. And yet he soon began reading Shakespeare plays and appreciated classical music -- and even mastered the piano too. He studied philosophy and logistics at King's College, and later studied law at Cambridge with a master's degree. 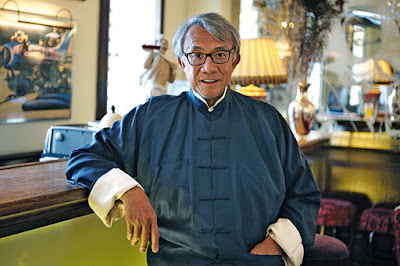 After teaching English literature and philosophy at Peking University from 1983-84, he practiced law at his grandfather's law firm as well as a smattering of others in Hong Kong. Guess law wasn't his thing, but fashion and decor instead. In 1991 he and philanthropist Tsui Tsin-tong opened China Club in the Bank of China building. One always feels privileged to come here each time, an antique space choc full of Chinese paintings, sculptures and photographs, and tons of books on the bookshelves. 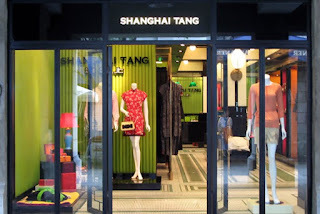 Then three years later he started Shanghai Tang which as I mentioned earlier became a big hit with its quirky Chinese designs that were fun and colourful, and he had qipao tailors working on site. But I digress. 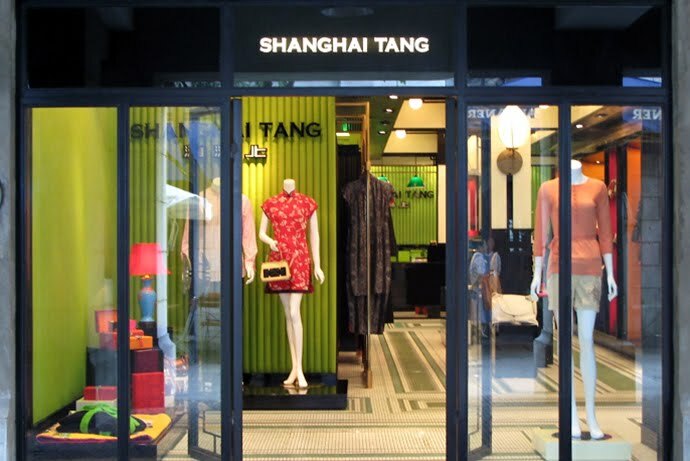 Luxury group Richemont had a controlling stake in Shanghai Tang in 1998 and full ownership of it in 2008, and it was just sold again in June to an Italian entrepreneur. 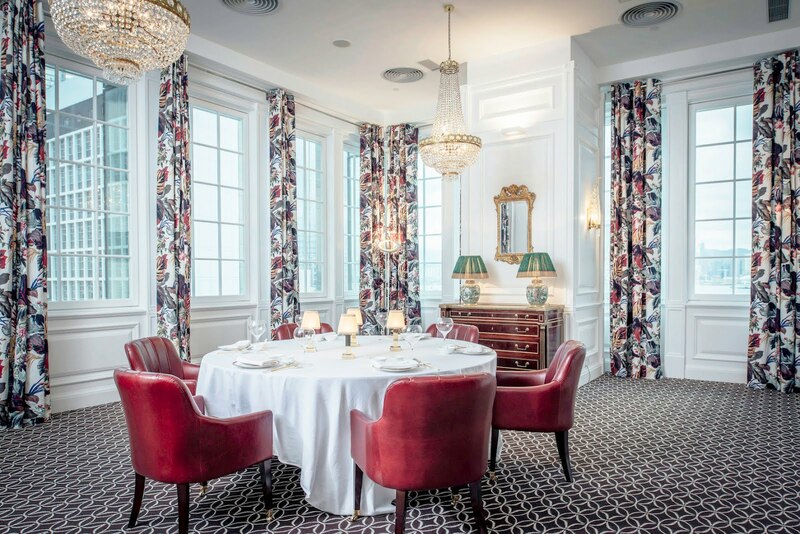 Tang reappeared again -- this time through interior design with Howard's Gourmet with its quintessential English look, and also China Tang, his restaurant collaborations with Peter Lam Kin-ngok. Last year Tang made a passionate speech at the Foreign Correspondents Club criticizing then Chief Executive Leung Chun-ying's policy address and how the administration seriously faulted in its handling of the Occupy protests in 2014. Why did he only speak out then? But perhaps we should thank him for at least speaking out for us. 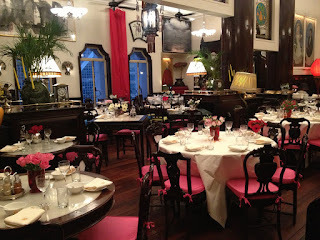 Thank you for your business acumen, your creativity, your wit and your love of Hong Kong.